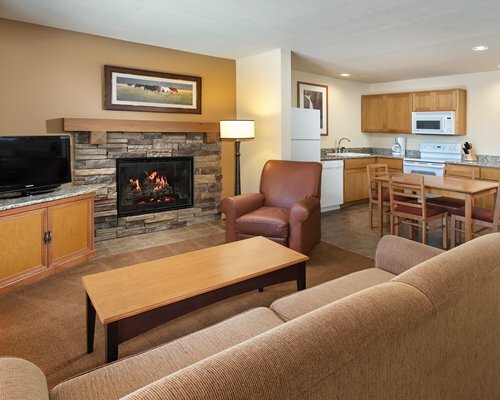 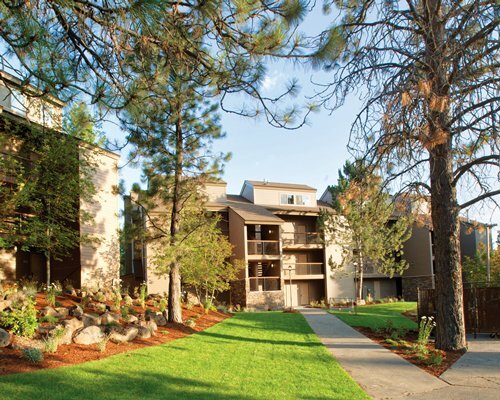 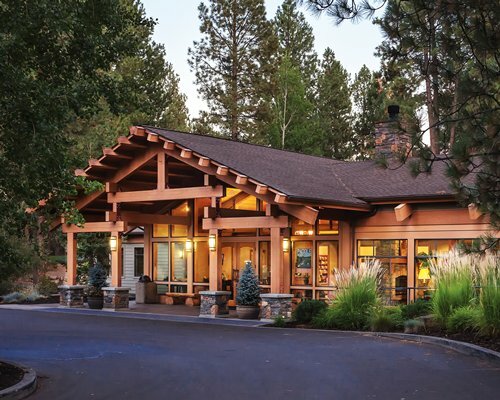 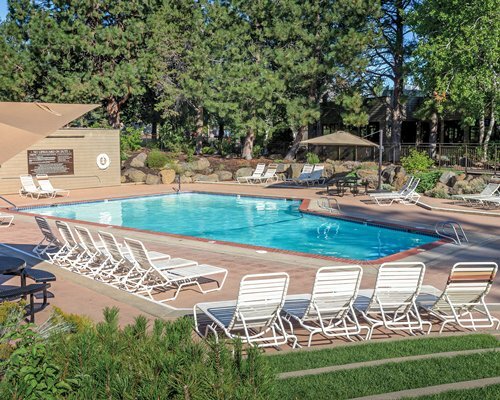 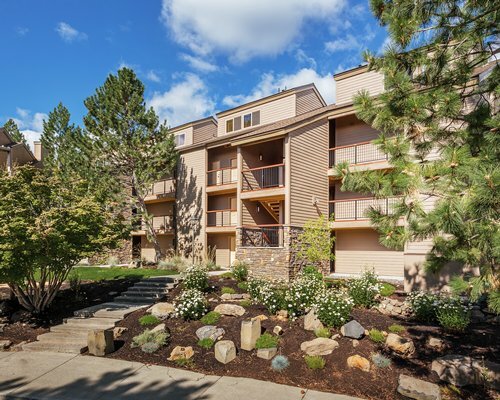 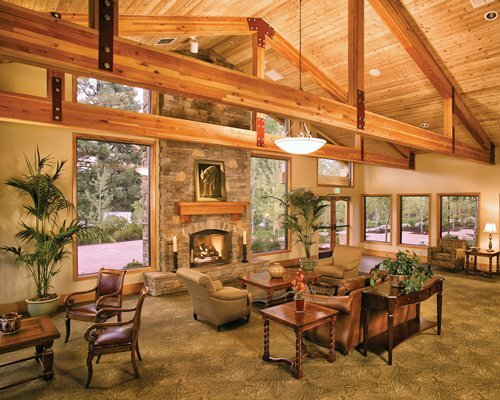 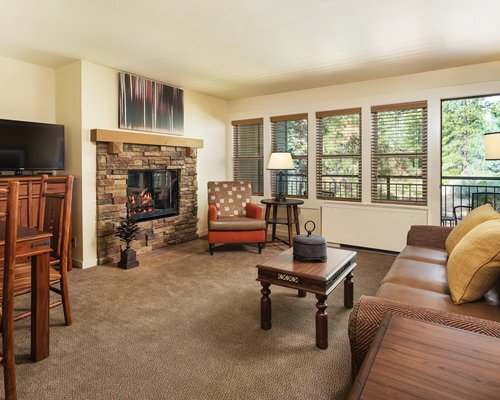 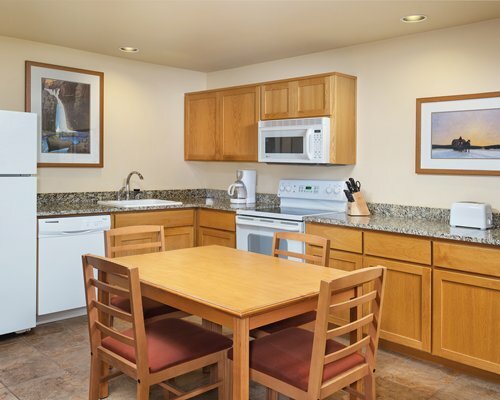 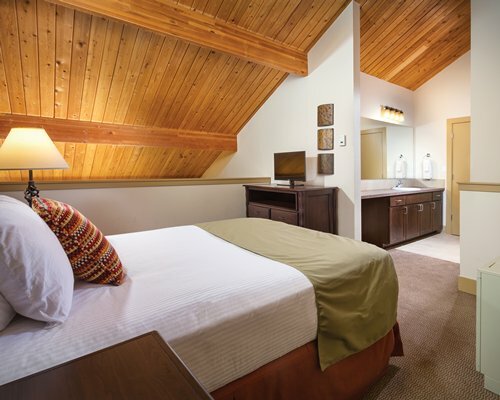 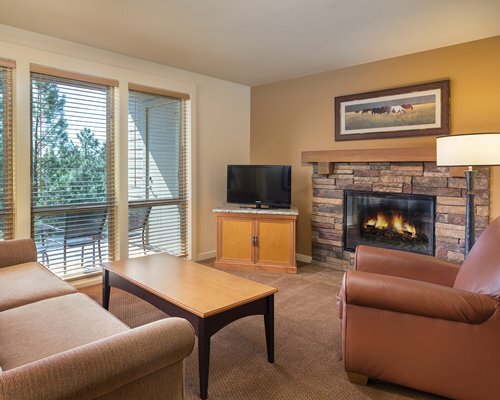 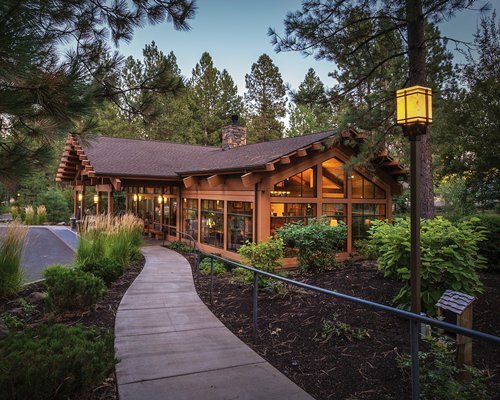 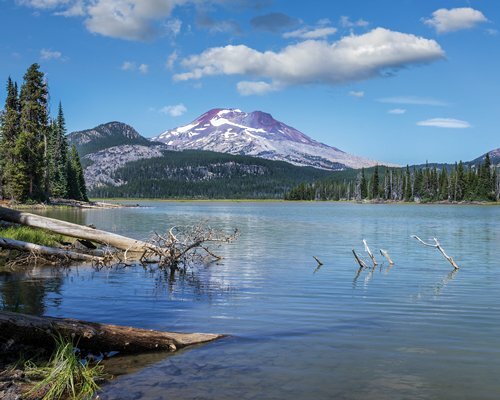 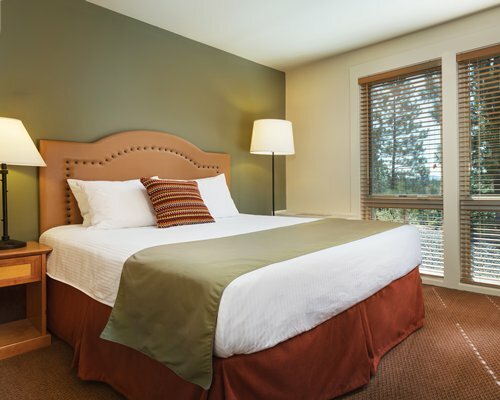 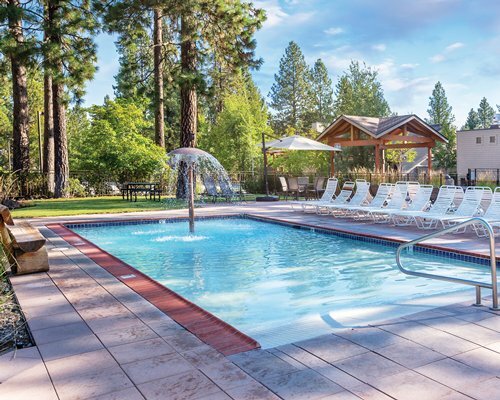 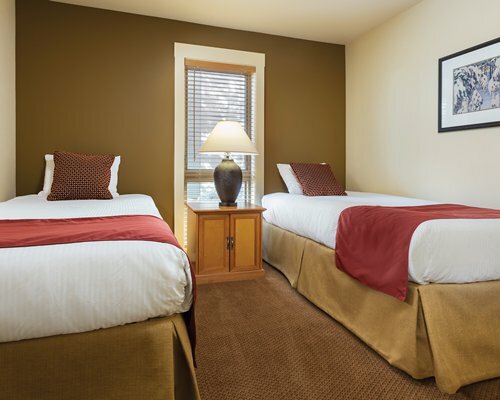 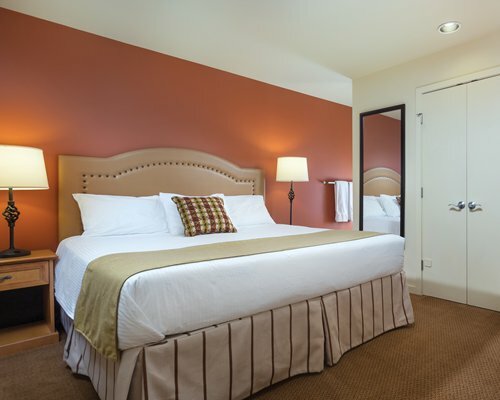 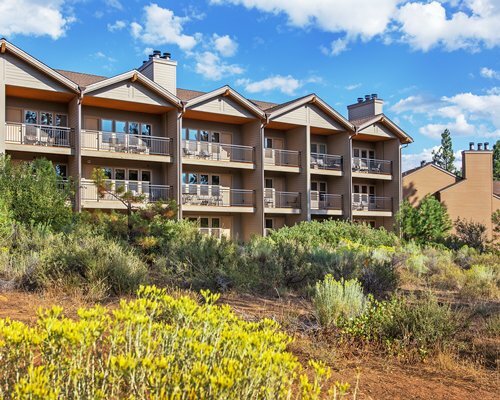 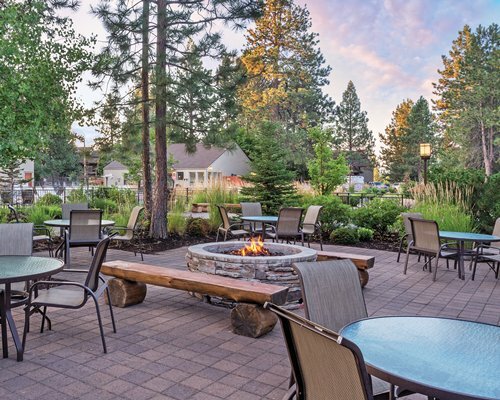 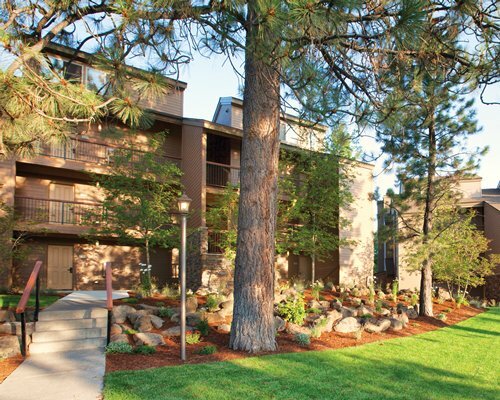 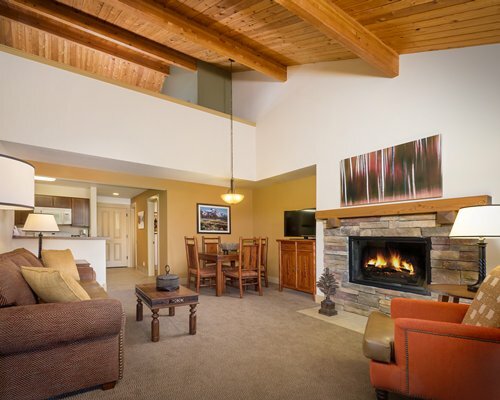 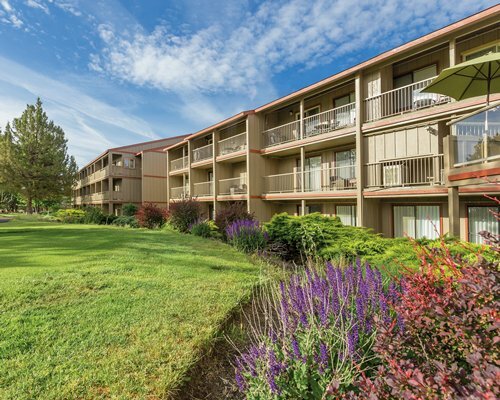 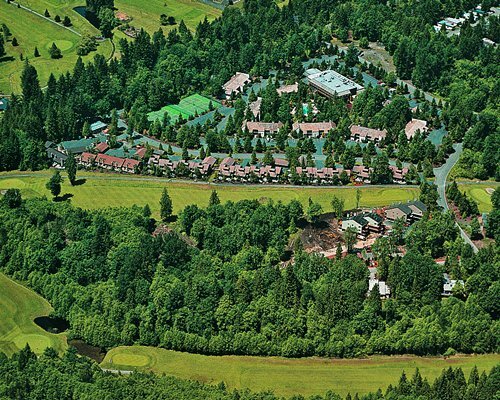 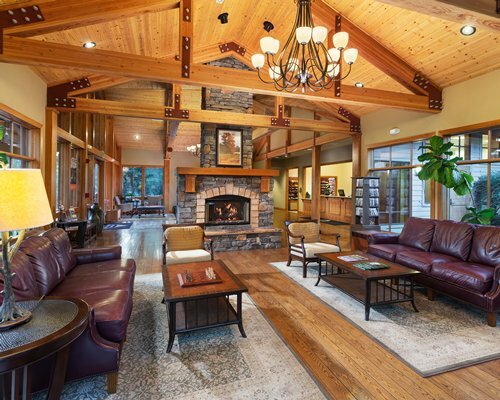 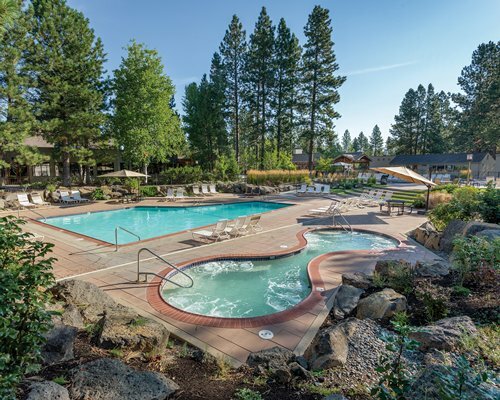 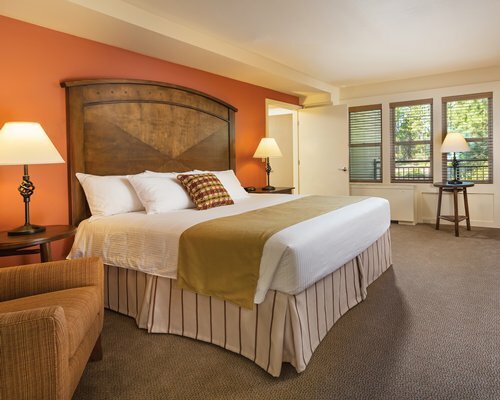 WorldMark Bend – Seventh Mountain Resort is happy to provide guests with two outdoor pools, an outdoor children’s pool and three outdoor hot tubs – all of which are heated and available for use year-round. 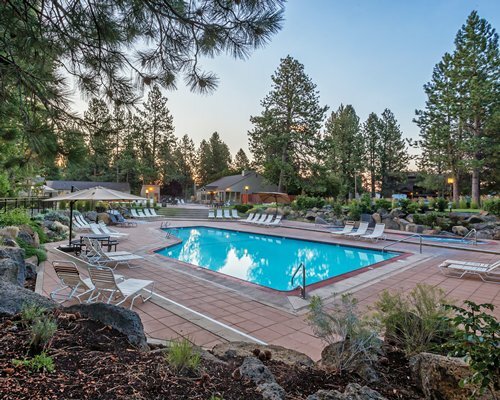 In addition, this resort offers an onsite fitness center, restaurant, gift shop, game room, miniature golf, sauna and activities center. 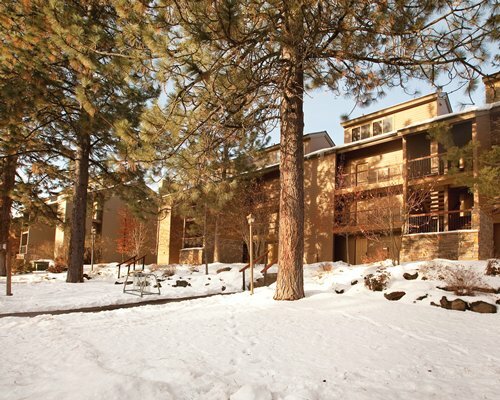 For seasonal amenities, an ice-skating rink is also available onsite, along with an equestrian center, white water rafting and ski shuttle. 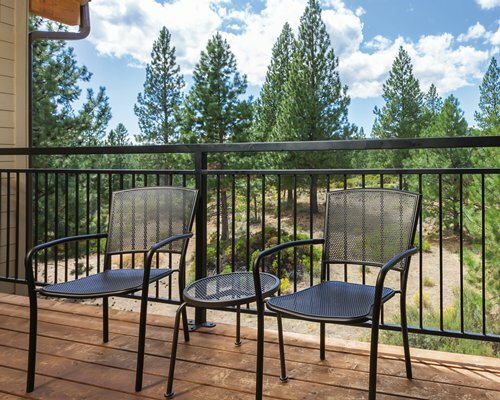 You’ll find one-, two- and three-bedroom units, all with fully equipped kitchens, a small balcony or deck and a view of the forest. 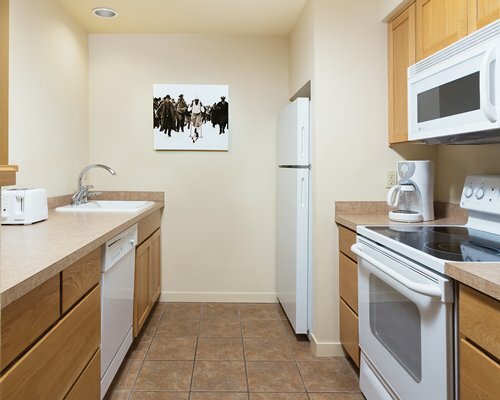 All units are equipped with air conditioning to keep you cool during the heat of summer, and wireless internet service is available in all units for a fee. 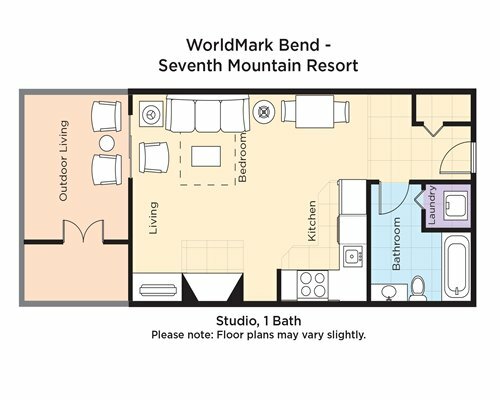 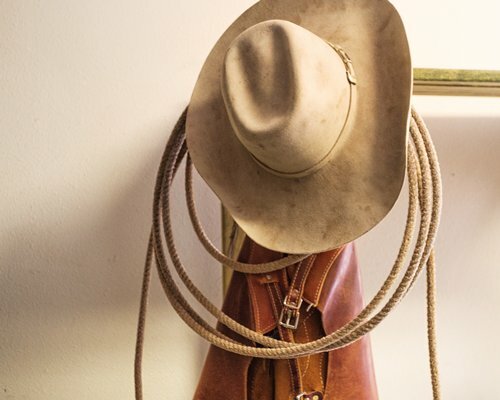 Fee for 2 Bedroom units (per stay): Housekeeping fee for all RCI points reservations: There may be a fee of 105.00 U.S. dollars for 2 Bedroom units, per stay. 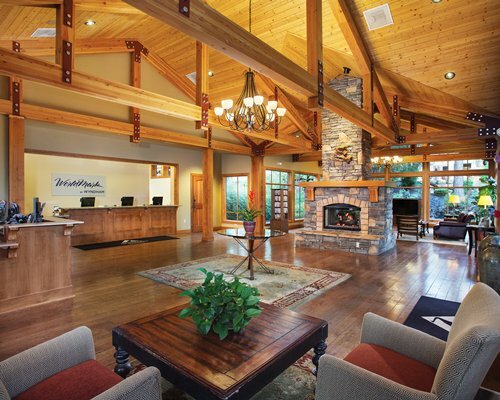 Wireless access is a for-fee service, paid at check-in. 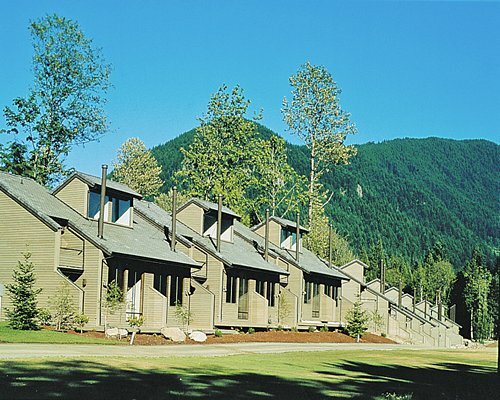 Contact resort for details.